Cue Debbie Downer…The holiday season is full decorations…what you find appealing, your toddler is going to find irresistible. Eating Christmas trees, “tasting” ornaments and crawling through packaging material are all fun activities for toddler, but highly dangerous. In case you can’t keep an ever watchful eye on the little ones, keep the holidays safe by putting all the decorations out of reach, and if you’re planning on using the fireplace this season, remember clothing may be fire-retardant, but that doesn’t mean it won’t catch on fire. The best time to start baby and toddler proofing your house is before you need to, and taking advantage of the “nesting” period during your pregnancy is a great time to get things in order. Once your little one has arrived, you’ll be sleep deprived and busy, so take advantage of the spare time you have before your baby is born. Anything that can be pulled over, will be pulled over, so use straps or brackets to hold your TV, bookshelves, dressers, and any heavy pieces of furniture before your child can crawl on them. My sister-in-law talked about finding her son on top of the refrigerator…to her horror. So if you think they won’t crawl on it, you may be surprised. Kids love to stick things inside holes, and outlets are at the perfect height for little ones, so be sure to place childproof caps on all your outlets around the house. Buy in bulk and place some in your baby bag to take to your relatives house just in case. They should be difficult to remove and install, otherwise, your toddler is just going to pull them out. How many stories have you heard about toddlers sticking foreign objects into the DVD player or getting wrapped up in the cords? Buy a few ties to secure the cords behind the furniture and turn off your electronics when you’re not using them or keep them secure in a cabinet to keep curious kids out of trouble. Any appliances that they can reach and pull down toward them, they will, so keep them out of reach and turned off. Remove that plunger and toilet brush! Although, they look like an obvious dirty filthy object to you, they are the perfect wand or weapon for your exploring toddler. Don’t forget the toilet. You know that place your dog likes to drink from? Your kids see that, and they may just try a sample too, so secure those toilet seats with a lid lock. Although bumpers have been a staple for decorating the baby’s room, they are no longer considered safe to place inside your child’s crib, and while you’re at it, make sure to remove any other loose articles as well like; blankets, pillows, and stuffed animals. Dress your little one for the room temperature during the evening. Best temperature range is between 60 and 67 degrees. If your child is dressed in fitted clothing for this temperature, they will get quality sleep without any dangers of suffocation. 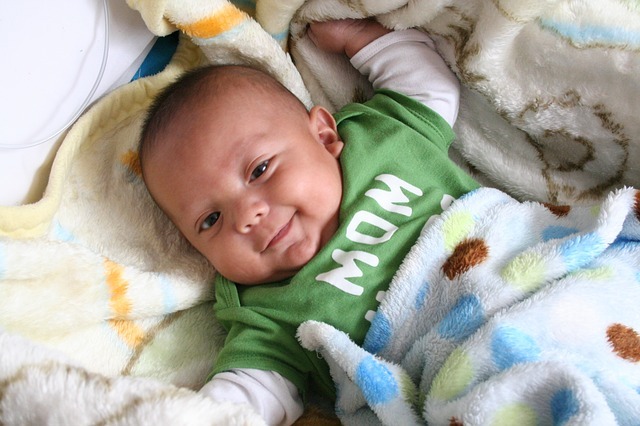 All children should be placed on their back to sleep to decrease SIDS. Crib construction is also important. No drop-side rails anymore, and cribs should be tested for slats that are too wide apart for a head to fit through. If a soda can fits through it, it’s too wide. They look like candy, but should never be referred to as such. Most are aware of the hazards of medications, but more kids end up in the hospital from taking their parent’s muli-vitamins. Be sure to put all pills away where children cannot reach them, a locked cabinet is best. Any old or unused medication can be disposed of through the drug take-back program. Ties attached to your blind are a hanging hazard and need to be placed where children cannot reach them, or you can add a breakaway safety tassel to them for ease of use, but never let these or any window treatment hang in your baby’s crib as these can be a choking hazard. Create a changing table that is safe from the start. They should have a component that allows the soft pad to be securely fastened to the table and a strap to securely tie your child down. They will be rolling over before you know it, so get in the habit of strapping them down and never leaving them unattended on the changing table. High chairs are another one of those pieces of furniture that you have to keep a close eye on when your child is around. Try to purchase a high chair with a wide base and a seat strap to help keep your child safe and secure while getting their meal ready. We had one cabinet for our son to explore. It was full of stainless steel bowls, plastic plates, plastic storage bowls with lids, and linens. All other cabinets and drawers, were locked up tight. When installing the cabinet locks, make sure they can’t be pulled out enough to fit a little finger behind them…ouch! Most locks can be adjusted to fit securely around the knobs to prevent preying hands from getting pinched. Yes, your car will need to be baby proofed as well. Some cars have features to lock the doors and windows so your kids can’t get into any trouble when playing with the knobs. Place your baby’s car seat in a rear-facing position. They won’t be turned around until they are a bit older. Be sure to follow the instructions correctly when installing the car seat, and place them where you can see them easily in the back seat on the passenger side. Make sure the car seat you install is current and certified. Visit for any recalls. Strollers are another place to be aware of potential choking, suffocation and strangulation problems. Make sure you check for recalled items, and keep all unessential objects out of the stroller. 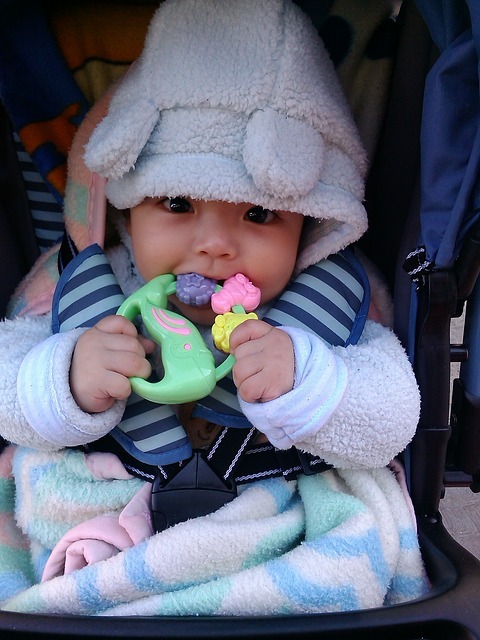 Double check that your child is securely strapped into the stroller. Some car seats can be placed into a stroller, but make sure they are compatible and have proper straps to securely keep the carrier attached to the stroller. Last thing you want is your child bouncing out. Be sure to adjust your water heater thermostat to 120 degrees fahrenheit to prevent scolding and never leave a child unattended in the tub. 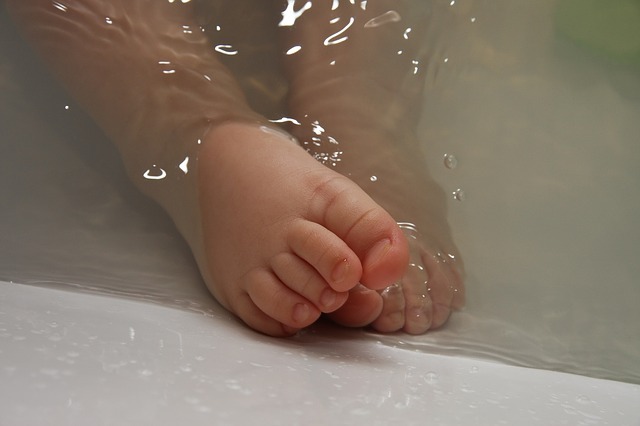 Install no-slip strips on the tub bottom and buy a special tub for infants. They hold your baby in an upright position while you bath them. Which makes bath time soooo much easier. When adding toys to the bath route, put in fun toys that are safe. Install gates in an area where toddlers can roam without issues. Place gates at the top and bottom of stairs. Get gates that attached securely to the wall, have a locking mechanism, and have slats that children can’t stick their head between because you know that’s the first thing they are going to try to do as soon as you put them up. 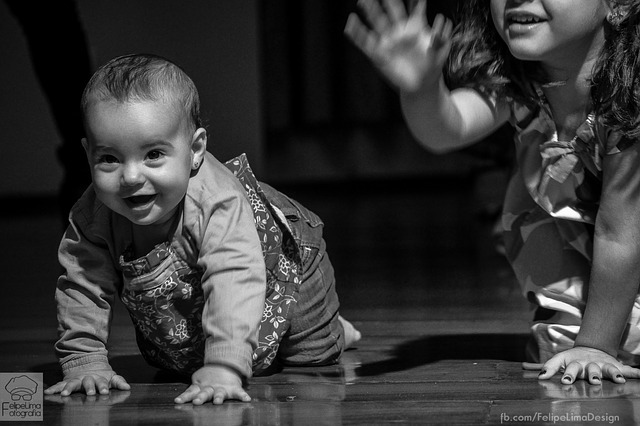 Try crawling around at their level and taking a look at the various hazards they may face. Put bumpers on sharp corners of furniture, fireplace hearths, countertops and remove any plants or decor they can pull down or stick in their mouth. Doors leading to the garage and outside need to have special handles to prevent little ones from wandering into unwanted places. Remember that your window screens aren’t strong enough to keep kids from falling out, so be sure to secure your windows with guards or locks to prevent your children from opening them and falling, or install a childproof screen if you need windows open during the heat of the day. If they can, they will get into the pool, pond or hot tub. First, install a fence that has a self latching and locking gate, then remove all furniture that your child can drag over to the fence for easy climbing. Don’t leave toys in the pool to entice kids, and do teach your kids to pool safety and how to swim as young as possible. Never leave your kids unattended around any water source. It doesn’t take long for kids to drown, and contrary to popular belief it can be a quiet event that you won’t notice until it’s too late. Toys need to be bigger than your toddler’s mouth to prevent choking, non-flexible so it can’t cover their ability to breath to prevent suffocation, durable to keep small pieces from falling off and being swallowed, and free of any toxic substance that can cause allergies or medical issues. Visit a toy recall site for current information on recalled toys. Have fire drills and emergency plans in place. Make it a game with your kids so they are aware of what to do in case of an emergency. Kids handle stress better if they feel empowered, and knowledge is power. Keep your smoke detectors and carbon monoxide detectors updated and located in every bedroom and located on every floor through the house. Check the batteries monthly. Some detectors are powered by both backup batteries and electric wiring and will let you know when the batteries are running low with a quick chirp, but this is not always a welcomed sound in the wee hours of the night, so check the batteries every month to keep them working properly. Believe it or not, this is just a brief overview of the things you’ll need to do to keep your little ones out of trouble. I am sure there will be plenty more things to keep you and your spouse busy “proofing” your house….Happy Holidays!